Issued Free improvisation: history and perspectives, Lucca, LIM, 2018. With an essay by Luigi Pizzaleo: Music, Language, Crisis. Mario Bertoncini, Walter Branchi and the Piano. Cordóba, Argentina. XIV Jornadas Argentinas de Música Contemporanea. Centro de Producción y Investicación en Artes. Universidad de Cordóba, December 5th, 2018. Scheduled: Il canto della rondine, for digital support. Napoli, Casa Morra, Salita San Raffaele, April 20th, 2018. Book launch: La bottega del suono. Bertoncini. Maestri e allievi. Bologna, Teatro San Leonardo, April 4th, 2018. – Realtà e trasfigurazione. Performing Illudio VI for digital support. First performance in Italy. New York – NYCEMF 2017. Illudio VI, for digital support, will be performed on June 21th, 2017 at the New York City Electroacustic Music Festival (Abrons Art Center, Experimental Theater). First performance. Roma, Fondazione Isabella Scelsi, March 8th, 2017, 8:30 pm. Book launch: Walter Branchi, Il pensiero musicale sistemico, Aracne 2017, edited by Luigi Pizzaleo. With Ida Panicelli, Daniela Tortora, Luigi Pizzaleo and the Author. Bologna, Teatro San Leonardo, November 22nd, 2016. – The Polymorphic piano. Piano, Lorenzo Meo. Sound engineer, Luigi Pizzaleo, Gianluca Deserti*. Music by Luigi Pizzaleo, Gianluca Deserti*, Luigi Nono, Kaija Saariaho, Jonathan Harvey. Teatro San Leonardo-Centro di Ricerca Musicale, Via san Vitale 63, Bologna, Tuesday, November 22nd, 08:30 pm. Scores by Luigi Pizzaleo for Da Vinci Edition. The page of Luigi Pizzaleo on Da Vinci Edition website is online. Festival Arte Scienza, Roma, Goethe Institut, July 1st 2016. Illudio X for double bass, tenor saxophone, alto saxophone, bajan. Filippo Ansaldi, tenor sax; Sària Convertino, bajan; Danilo Perticaro, alto sax; Giacomo Piermatti, double bass. Rieti, November 30th, 2014. Paul Klee. Lo sguardo e la voce. Rieti Elettroacustica Festival, 3rd edition. Commento. Anamorfosi sul Lamento di Didone, for violin, piano and electronics. Cristina Constantin, violin; Victor Andrei Părău, piano; Luigi Pizzaleo, sound engineer. Ferrara, January 18th, 2014. I Concerti del Ridotto. 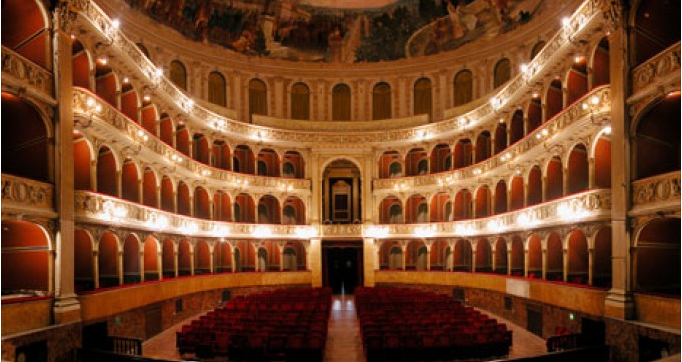 Ridotto del Teatro Comunale, ore 17. Music by Gianluca Deserti, Ivan Fedele, Luigi Pizzaleo, Alessandro Solbiati. Centro Culturale Cappuccini, 17PM. Bateau-Lavoir Ensemble. Illudio IV, for bass clarinet, flute and piano, by Luigi Pizzaleo. Fermo, November 30th 2013. For the “XIX International Stage of Saxophone”, Soundscapes of the 21st Century”, Isabella Fabbri, saxophones; Lorenzo Meo, piano. Auditorium San Martino, 7PM. Music by Lorenzo Meo, Giulia Monducci, Luigi Pizzaleo, Emanuela Turrini. Among the others, will be performed the Eleven Pieces for Soprano Saxophone and Piano by Luigi Pizzaleo. Argenta (FE), November 10th: Incontro con la Musica Contemporanea. Music by Gianluca Deserti, Ivan Fedele, Luigi Pizzaleo, Alessandro Solbiati. Centro Culturale Cappuccini, 17PM. Bateau-Lavoir Ensemble. Il Bosco di Eros. Giardini dell’Accademia Filarmonica Romana, June, 24th-28th 2013. Luigi Pizzaleo: Eros e Tanatos, for digital support and Holophones Sonic Installation. Eros e Tanatos is a 30 minutes electronic landscapes for an array of 8 Holophones. It will be performed ciclically on June 26th, starting from 6PM. Along the passage leading to the Garden of the Accademia Filarmonica Romana, other 6 holophones will reproduce as many electronic elaborations of historical pieces by B. Maderna, H. Purcell, B. Bartòk, J. Harvey, C. Gesualdo da Venosa and the “Lamento di Tristano”, anonymous of the XIV century. 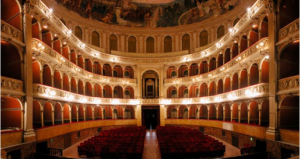 Starts in Rieti (Italy) the Festival “Instruments and Music of Today. Sax, Winds and Bits”. Featuring Guido De Flaviis, Lorenzo Meo, Isabella Fabbri, Manolis Manousakis, Stefano Scippa, Rosa Di Ilio, Ensemble Café Lunaire. Artistic Director: Luigi Pizzaleo. The winning composition was a piece for 3 saxophones, trumpet, trombone, soprano, percussion, glass harp and sonification of the network traffic by means of OSC protocol and samplers. The composition will be used for the choreography “Butterfly Effect” by Ismael Ivo, director of the Biennale di Venezia – Dance Section. The ballet will be performed at the Festival “Tones on the Stones” in Verbania, next July 7th. by Luigi Pizzaleo, for seven instrumentalists and three male voices, won the Third Prize at the International Composition Competition “Valentino Bucchi”. The Awards Ceremony will take place in Rome at the Sala Baldini, Via Campitelli 9, November 29th, 2011 at 6 pm. by Luigi Pizzaleo, for four flutes and soprano, has been selected as finalist at the Seventh Concours Dutilleux. The six scores have been selected among 244 coming from all the world. The final concert, with the Soloists of the Orchestre Symphonique Région Centre Tour, will take place in Saint-Pierre des Corps (Tour) in January 8th, 2012. At the end of the concert the winners will be announced. November, 7th 2011 – Inaugural Concert of the VII Jornadas Argentinas de Música Contemporánea e Investigación – 7, 8 e 9 novembre 2011, Pabellón CEPIA de la Ciudad Universitaria. Will be performed La buona ventura for digital support, by Luigi Pizzaleo. Will be performed Il dolore notturno by Luigi Pizzaleo, for computer solo on video. Salerno, Complesso di Santa Sofia, piazza Abate Conforti, h 5 PM. Featuring Marco Giordano and Luigi Pizzaleo, NUME- Nuova Musica per l’Educazione. Will be performed Il dolore notturno by Luigi Pizzaleo, for computer solo on video. Roma, IILA Istituto Italo-Latino Americano, Palazzo Santacroce, piazza Cairoli 3, h 4 PM. Will be performed Il fondo dell’Ipogeo by Luigi Pizzaleo, for computer. 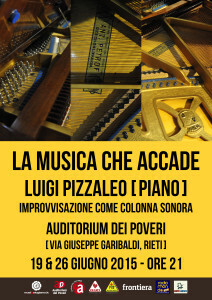 Concert by Luigi Pizzaleo (piano, glassharp) and Ensemble Ciao Euphonium. Festival Dannunziano – Pescara. Projection of Cabiria by Giovanni Pastrone. Huly 27th, 2010, 9 PM Ex Aurum. Live orchestral soundtrack: Abruzzo Chamber Orchestra, coductor Pasquale Veleno. In programma, Ce ne andremo ad aprile per due voci femminili e live electronics, di Luigi Pizzaleo. In caso di pioggia, la proiezione si terrà all’Auditorium Flaiano. Will be performed Ce ne andremo ad aprile for 2 female voices and live electronics, by Luigi Pizzaleo. The conference will take place in a room of the Exibition of the painter Gillo Dorfles. The composer will explain how the instrument works and will play some demo improvisation. Festival 5 Giornate – Milano. ArteScienza Festival, Roma, 2 ottobre 2009, Giardini del Liceo Scientifico Teresa Gullace Talotta – Piazza Cavalieri del Lavoro, 18. Arte Scienza Festival. La ballata dell’infinito universo, Roma, 29 settembre 2009, Goethe Institut, via Savoia 15. By GRA/D, Gruppo Ricerche Analogico / Digitali. “La Piazza”. Sonic Intallation for the European Music Feast, by CRM. Florilegi per computer for computer only, by Luigi Pizzaleo, in world premiere. April 23rd 2009. ECL at the Sinister Noise Club in Roma. 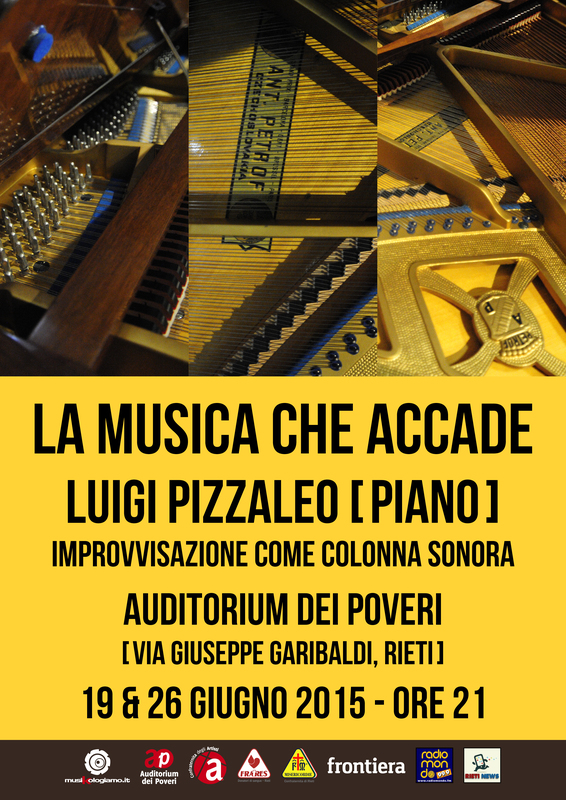 They will perform Atlante, a suite of four pieces of controlled improvisation, and a session of free improvisation with the glass harp for the first time on stage.